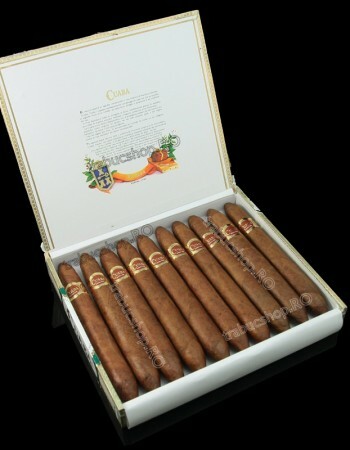 Cuaba Salamone | Old Morris Tobacconist Victoria BC, Fine Cigars, Humidores and Tobacco Merchantile. There are big cigars––and then there is the Cuaba Salomones. At a 57 ring gauge and length of 185mm, this hand-made Cuban giant is the heavyweight champion of its class. Construction is flawless despite the prodigious size, and the smoke billows on and on for hours. Best suited for feasts, marathon relaxation sessions, massive celebrations––the Salomones was destined for the respect and appreciation of all Cuban Cigar gourmands.